Canada’s coasts support Indigenous and coastal communities, enable international trade, are home to precious ecosystems, and play a key role in strengthening the economy and growing our middle class. The Government of Canada’s $1.5 billion Oceans Protection Plan—the largest investment ever made to protect our coasts and waterways—is building a world-leading marine safety system and will lead to cleaner and safer coasts. Today, the Honourable Marc Garneau, Minister of Transport announced four measures to help protect Canada’s waters and coastlines as part of the Oceans Protection Plan. Providing $110 million over five years for the Canadian Hydrographic Service to chart 23 high-priority commercial ports and near-shore areas along all three coasts to create safer navigation for mariners. This new investment will fill important gaps in critical areas across the country that currently have limited and out-of-date navigational information, and give mariners high-resolution electronic navigation charts, navigational products and data for increased safety. 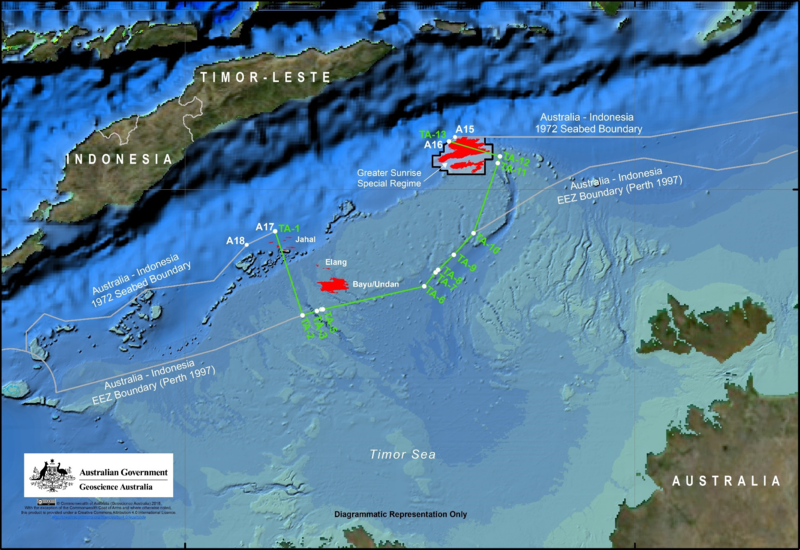 To date, surveys of eight out of the 23 ports have been completed. Adding seven additional coastal communities (nine total) to test a new information system showing where ship traffic is located—and other essential maritime information—as part of the Enhanced Maritime Situational Awareness initiative. 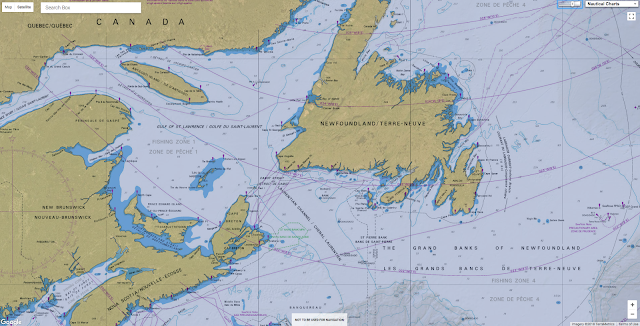 The selection of a contractor to build a system that can provide near-real time data on local ship traffic will be one of the largest agile procurement projects in the Government of Canada’s history. Indigenous and coastal communities, Transport Canada and the Canadian Coast Guard will work together to award the contract. Through the $62.5 million invested in the Enhanced Maritime Situational Awareness initiative, the Government of Canada will make $9.8 million available over two years to support the implementation of these pilot project communities and work with them to develop, test and evaluate the new system. Awarding an initial contract to Hercules SLR of Dartmouth, Nova Scotia, to supply the Canadian Coast Guard with two vessel-based emergency tow kits, plus equipment and training. This initial contract is valued at more than $180,000, and is part of a plan to install tow kits and related equipment on all large Canadian Coast Guard vessels, including five vessels on the West Coast. The initial contract includes options for up to 62 additional tow kits and related equipment. Allocating $7.2 million over five years in the Marine Weather Information Services Demonstration Project. This project will deploy five smart buoys (two on the west coast and three on the east coast) that will produce data for tailored weather forecasts. These smart buoys will have innovative high resolution weather prediction systems that will enhance marine forecasting and improve marine navigation and safety for mariners. AECO’s (The Association of Expedition Cruise Operations) push to speed up the chartering in eastern and south Svalbard has given results, the group said in a press release. AECO’s (The Association of Expedition Cruise Operations) push to speed up mapping in eastern and south Svalbard has given results, the group said in a press release. A shipping lane through Storfjorden, including a lane along the coast of Edgeøya has been added as a new chart. 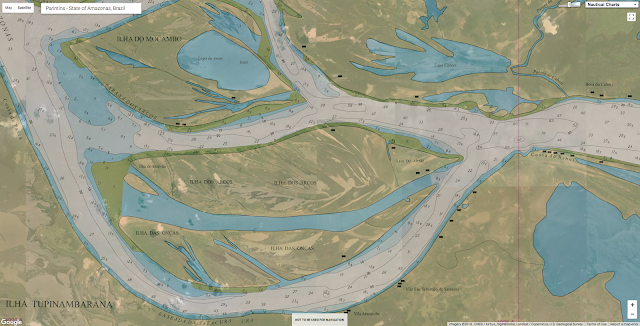 New nautical charts, no. 528 (Storfjorden. Sør. Isbukta – Kvalpynten) and no. 532 (Storfjorden. Kvalpynten – Agardhbukta), and a new edition of no. 533 (Storfjorden Nord. Freemansundet – Heleysundet – Sørporten), will be issued on May 9. 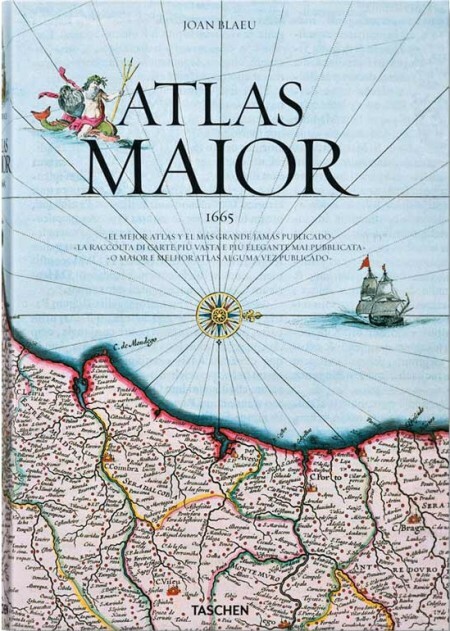 The previous edition of chart no. 533 is from now invalid. Chart no. 528, 532 and 533 are in scale 1:100 000, but chart 533 has two special editions: Ormholet in scale 1:20 000 and Heleysundet 1:50 000. The width of the chartered corridors are 2,5 nautical miles/5 km. 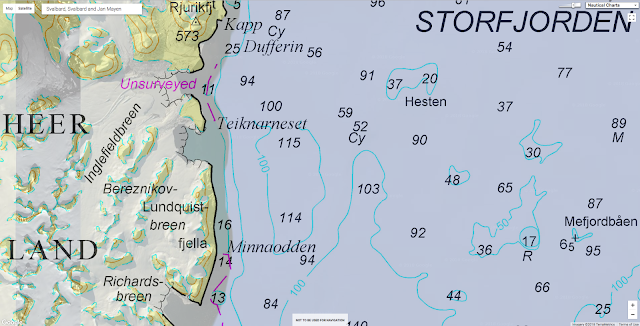 In addition to the above, the Norwegian Mapping Authorities has also charted a corridor around Sørkapp. The nautical chart, no. 527, is expected later this summer, AECO said. 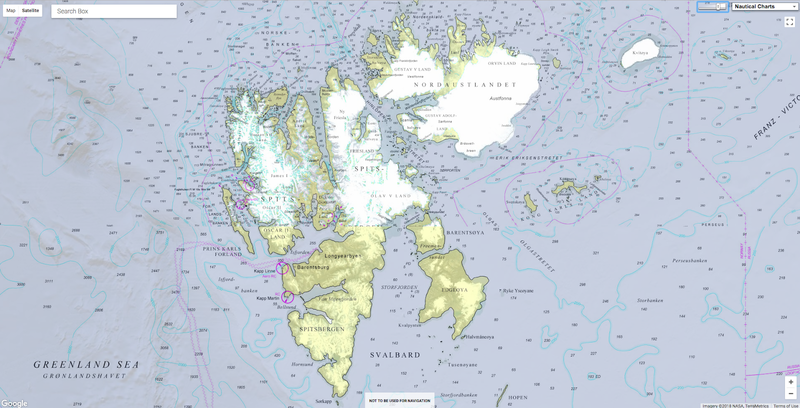 These new charts are a result of dialogue and cooperation between AECO, the Norwegian Mapping Authority and the Norwegian Coastal Administration. 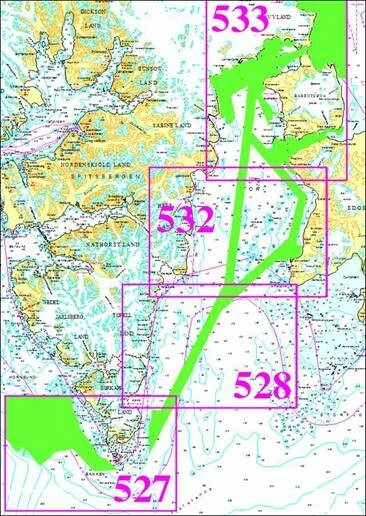 AECO invited the mentioned authorities to dialogue meetings with the objective to speed up the charting (and nautical chart production) in cruise industry prioritized areas, including shipping lanes in Storfjorden and around Sørkapp. A look into the complex world of ocean bed ownership and how nations are vying for their own piece of the puzzle. What if a country didn't end at the coastline but would simply continue under water? A territory the size of a continent would come up - a territory uncontrolled and open for seizure. But who owns the sea bed, is it territory still to be claimed? The fact that the world's oceans cover three-quarters of the earth's surface once meant very little to governments around the world. This changed when water exploration teamed with demand for specific resources and the need for power. during the German Atlantic Expedition from 16 April 1925 to 2 June 1927 (from Spieß , 1928). The first scientific study of the ocean floor was undertaken by German survey vessel Meteor, which saw it conduct research on the Atlantic Ocean between 1925 and 1927. The information uncovered about the ocean bed changed how nations viewed their once complacent takes on the importance of the ocean - politically and otherwise. In 1945, spurred on by a demand for oil that could not be met by land resources, US President Harry Truman pioneered the idea of owning oceans by promoting the theory of extended continental shelf of submerged landmass - claiming a continent did not end at the shoreline but ownership by a nation extended into the ocean. Prior to this, countries could only lay claim to the land extending 22 nautical miles (22km) from land's end. Using the theory of 'continental drift' - the belief that the continents' movement in relation to each other did so across ocean beds - and the 'legitimate' nature of science as evidence to prove his point, Truman's idea was systemised under the Outer Continental Shelf Lands Act of 1953, starting a war of laws. How fair mother nature had been to landlocked nations was another issue to contend with. 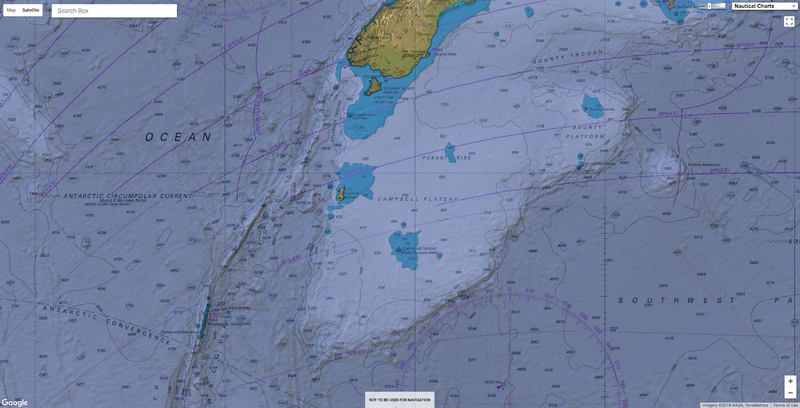 "For instance, Russia has a wide [continental] shelf of more than 200 nautical miles, or over 400km. By contrast, South East Africa has a continental edge of only 20km. These features are the result of geological evolution. Some countries are lucky. Others are not," says geophysicist Wilfried Jokat. Over 40 percent of the world's oceans have already been assigned to legal continental shelves, i.e. a land mass extended from the continent itself to the continental margin which is between the shoreline and the shelf break (where land slopes further into the water). Claims on expanded geological continental shelves make up another 10 percent of the ocean - a process riddled with loopholes, allowing countries. It is now projected that around 57 percent of the oceans will eventually be under the control of coastal states. As new discoveries of oil and gas continue to further nations' desires to claim their own piece of the ocean bed, geologists have been propelled into the role of decision-makers, proving - or nullifying - claims to these desired areas. The objectivity of the scientists involved in these processes has also come into question, with economic and strategic gains at stake. "Science is decisive for expanding the continental shelf, because all the petitions are based on science. Geological data, seismic data, scientific studies. Everything depends on this information," says head of the French maritime law commission, Elie Jarmache. "You can't go to the Commission on the Limits of the Continental Shelf and say, 'I am a member of the Security Council and want to expand my country's continental shelf.' That's not how it works. Politics has no place here." 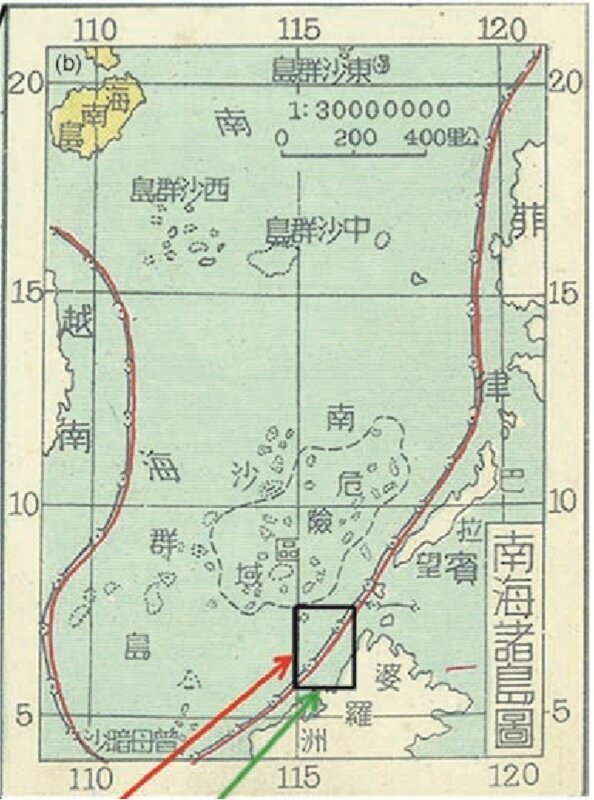 In 1951, an official map approved by the central government of China marked the China-claimed area in the South China Sea with a pair of non-stopping lines. There was an inner black line indicating the sovereign boundary and an outer red line representing where China could exercise administrative power. 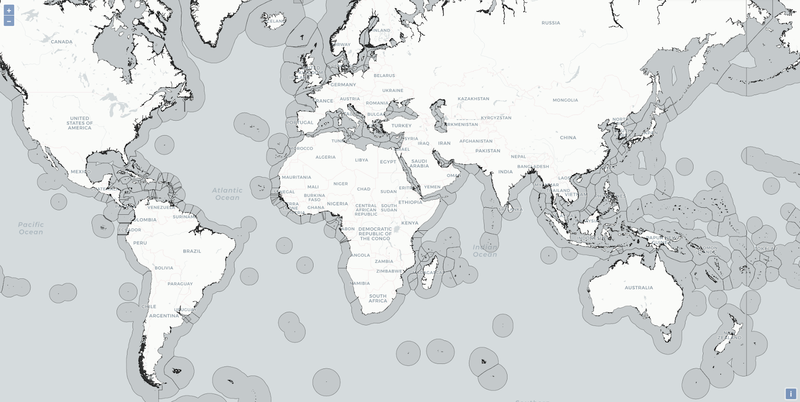 As states attempt to extend their maritime zones as far as possible, many international conflicts have arisen. In the South China Sea, eight countries are fighting for oil reserves valued at $100 billion. "There is no part of the world that is safer than any other," says Robert van de Poll, a maritime law expert. " In other words, with 53 percent of all maritime boundaries within the Exclusive Economic Zone unresolved, we are seeing conflicts rising to volatile levels driven predominantly by resource development for the offshore." Europp : Turkey vs Greece: Is war a real possibility? An ROV working on a structure at an underwater oil and gas field. Researchers often can’t afford to send remotely operated vehicles to the far reaches of the ocean. Now they’re collaborating with business to take advantage of discoveries made by ROVs deployed by oil and gas companies. A cusk eel hides under a black coral for hours, emerging for only a minute at a time before returning to its den. A hammerhead shark skims the ocean floor more than 1,000m (3,400ft) beneath the surface – the deepest observation of the species ever recorded. These are just two of the remarkable discoveries made by remotely operated vehicles (ROVs) deployed by the Shell Oil Group’s drillship Deepsea Metro 1 in the western Indian Ocean, off the coast of Tanzania. Images from the ROVs have ended up in peer-reviewed scientific journals in recent years. “The paper was a chance for us as a team to think about what we’d discovered and what we could be discovering in the future,” said Peter Macreadie, associate professor of environmental science at Deakin University in Australia and lead author of the study. Oil and gas companies, for instance, fly ROVs up and down the water column as part of their routine environmental compliance requirements, as well as to explore for new resources. That enables them to see things scientists can only dream of, given the cost of deploying ROVs. Around 2000, deep-sea biologists and other marine scientists at the National Oceanography Centre (NOC) in the U.K.
were seeking a greater understanding of the biodiversity in the surrounding seas and initiated a consortium with industry. The initial surveys conducted by the group, said NOC research scientist Daniel Jones, “revealed there were a lot of species that hadn’t been described.” Scientists sought to expand their access to industry ROVs, which was a new technology at the time. This led to the formation of the Scientific and Environmental ROV Partnership Using Existing Industrial Technology, or SERPENT. It’s now run out of the NOC with partners at four Australian universities and Louisiana State University. ROV operators deliver unexpected images of deep-sea life to SERPENT, and scientists visit remote drilling rigs and exploration vessels to conduct experiments. Industry ROV operators in particular have been enthusiastic about providing scientists with the exceptional photos and video they capture. “Spending time operating these ROVs out in the ocean, it’s a bit of a lonely existence,” Macreadie said. The oil and gas industry isn’t in the business of making scientific discoveries, of course, but it has a financial incentive to participate in SERPENT and possible future research missions outlined in Macreadie’s paper. Many oil and gas structures around the world – 4,000 in the Gulf of Mexico alone, according to Macreadie – are due for decommissioning in the next couple of decades. But ecosystems rich with marine life have grown up around the oil rigs and some conservationists are wondering whether it might be better at this point to leave them in place. That would save oil companies billions of dollars in removal and remediation costs. The workshop Macreadie’s paper grew out of began as a discussion between scientists and rig operators about this “rigs-to-reefs” concept. “But the meeting got a little bit hijacked,” he said, by the idea of outlining opportunities for scientific collaboration with industry. Researchers told the group what they’d like to know about the deep-sea environment. “Then ROV operators would provide us with a realistic perspective on what could be achievable,” Macreadie said. The paper described 10 questions that could be answered in part with ROVs. These include questions about animal behavior in deep-water environments, the distribution and ranges of ocean organisms, the physical and biological processes of the deep ocean, how the ocean is changing, which marine ecosystems are most sensitive to human impact and the degree to which industrial infrastructure such as oil rigs enhance ecosystems. Most ocean scientists, it’s safe to say, are opposed to new oil and gas development, both due to its climate impact and the potential for environmental disaster, such as the 2010 explosion of the Deepwater Horizon in the Gulf of Mexico. But that doesn’t mean existing operations shouldn’t be leveraged for scientific discovery, Macreadie said. “If we had to miss out on that data for the sake of avoiding oil and gas extraction already happening, I think most would sign on to that,” he said. It’s happening anyway, so let’s make the most of it. On 15 August 2011, an ROV operated by Mako Technologies working for Hornbeck Offshore Services was conducting seafloor and water column biotic surveys as part of the Deepwater Horizon oil spill NRDA. was observed at a depth of 62 m.
But as a reviewer of Macreadie’s paper, she has hope for the future. “It’s a great paper and maybe there will be the odd person in industry who will read it,” she said. On a special edition of 60 MINUTES, Tara Brown investigates what is now the world’s most confounding aviation disaster. What happened to the Boeing 777 airliner carrying 239 passengers and crew that vanished on March 8, 2014? From Washington Post by Cleve R. Wootson Jr.
That is the chilling theory that the team of analysts assembled by Australia's “60 Minutes” have posited about the final hours of MH370. They suspect that the plane's 2014 disappearance and apparent crash were a suicide by the 53-year-0ld Zaharie — and a premeditated act of mass murder. But first, the experts said, they believe that Zaharie depressurized the plane, knocking out anyone aboard who wasn't wearing an oxygen mask. That would explain the silence from the plane as it veered wildly off course: no mayday from the craft's radio, no final goodbye texts, no attempted emergency calls that failed to connect. The wreckage has not been found, though hundreds of millions of dollars have gone into the four-year search. But the “60 Minutes” team — which included aviation specialists, the former Australian Transport Safety Bureau chief in charge of investigating MH370's crash and an oceanographer — put forth what they believe is the most likely theory. This presentation covers the technical accomplishments undertaken from a geospatial support perspective to support the search for MH370. Geospatial support embedded within ATSB over the last 3 years included visualization of project data, creation of search areas, data management, statistical analysis and quality review of data collected. 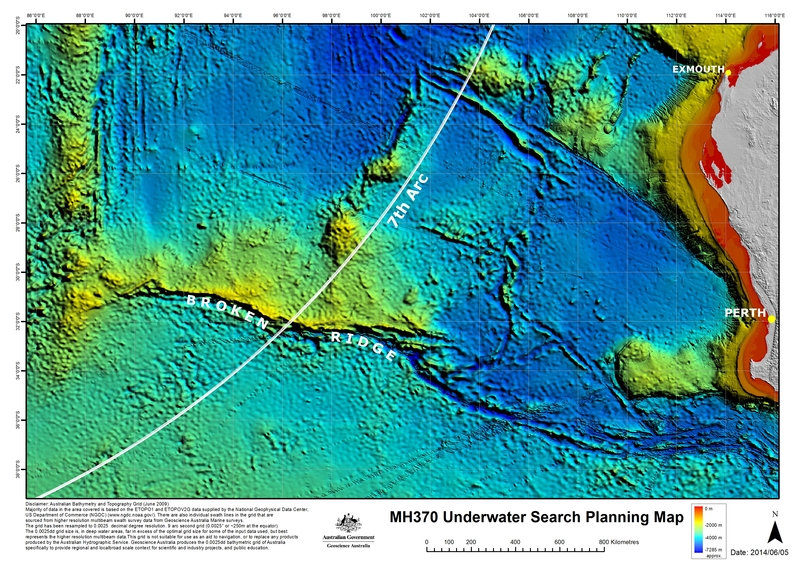 With over 157 TB of data acquired throughout the search the Operational Search for MH370 has become the largest search of survey of its kind ever. The governments of Malaysia, China and Australia called off the official search in January 2017. The Australian Transport Safety Bureau's final report said authorities were no closer to knowing the reasons for the plane’s disappearance or the exact location of its wreckage. How could a modern aircraft tracked by radar and satellites simply disappear? Because, they say, Zaharie wanted it to. And the veteran pilot, who had nearly 20,000 hours of flight experience and had built a flight simulator in his home, knew exactly how to do it. For example, at one point, he flew near the border of Malaysia and Thailand, crisscrossing into the airspace of both, Hardy said. But neither country was likely to see the plane as a threat because it was on the edge of their airspace. A group called the Chinese Martyrs' Brigade claimed responsibility for the downing, although skeptical officials called this a hoax. Current analysis places the most likely site of the MH370 fuselage close to the ‘seventh arc’, which shows possible locations of the plane at the time of the seventh detected radar ping. Image supplied by Geoscience Australia. The Site 4 extension is shown for the first time in this diagram from the 12th weekly report, released on 17 April. 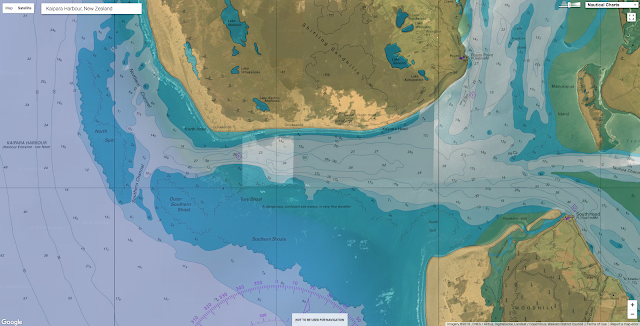 Map of the underwater search area for MH370 conducted by Ocean Infinity and showing Site 4 - the new area added to the search. The original search area of Sites 1,2 and 3 is shown on this diagram from the first week of the search (30 January). The area in yellow corresponds to the ATSB priority area. The latest attempt to discover it was a $70 million effort by a Texas company called Ocean Infinity, according to the Associated Press. The mission scanned 500 square miles a day during a three-month search. Largest wave ever recorded in Souther Hemisphere reached 78 feet (23.8 m) on May 8.
but were unable to confirm this. At 78 feet tall, and churned by a fierce storm, it’s the largest wave ever recorded in the southern hemisphere, New Zealand scientists report. An enormous ocean wave reaching 78.1 feet (23.8 meters) in height has just hit Campbell Island. The previous record-breaking wave in this region was recorded in 2012 when a wave was found to have reached 72.3 feet (22.03 meters) in height in Tasmania. The intense storm that has lashed the Southern Ocean around New Zealand and Campbell Island will soon be giving surfing enthusiasts in California powerful waves of their own. The wave was recorded on the night of May 9 by a MetOcean buoy (Campbell island WRB (CIWRB) which is currently floating in the Southern Ocean near Campbell Island about 430 miles (692 km) south of New Zealand. The wave reached a height of 78 feet (23.8 meters) as a storm rolled through the region. The previous record, also recorded by MetOcean Solutions, was a 63.6-foot (19.4 meter) wave that rolled through the same patch of ocean last year. The wave was detected by a single solar powered buoy, which samples wave conditions for 20 minutes every three hours. The intermittent sampling is done to conserve energy. During the recording period, the height, period, and direction of each wave is measured, and the data is transmitted to a receiving satellite. Oceanographers with MetOcean Solutions, a subsidiary of the state-owned Meteorological Service of New Zealand (MetService), believe the peak heights of waves were even higher during the storm. Their wave forecast predicted individual waves reaching heights of 82 feet (25 meters). The Southern Ocean is one of the least-studied areas on Earth. Its persistent and energetic winds make it an “engine room” for wave development, producing waves that traverse the globe, including the iconic surfing waves that reach the California coast. The May 9 storm was generated by the easterly passage of a deep low-pressure system, and accompanied by winds reaching 65 knots (75 mph/120 km/h). These low-pressure storms are typical in the Southern Ocean, and they can strike at any time of the year, unlike in the northern hemisphere where similar storms only happen in winter. It’s a standard value that characterizes sea conditions, and it takes the average of the highest third of a measured wave. The May 9 storm produced a significant wave height of 48.9 feet (14.9 meters), which is now a record for the Southern Ocean. But it’s not the biggest ever recorded; that distinction goes to a 2013 North Atlantic wave with a significant wave height of 62 feet (19 meters). According to the Smithsonian, the largest wave ever recorded was in Alaska’s Lituya Bay in 1958. It measured 30.5 meters (100 feet) and was caused due to a tsunami, which killed five people. The wave snapped 1,700 trees but did not damage much property as there were a very few towns nearby. This wall of water has broken the world record as the largest wave ever to be surfed. Brazilian surfer Rodrigo Koxa surfed the 80-foot wave in Nazaré, Portugal. The feat took place in November 2017 but the wave and surfer are just now being honored by the World Surf League’s Big Wave Awards. On the same day Rodrigo Koxa surfed a record-breaking wave, another surfer had a close call with death. Surf’s up for Rodrigo Koxa … way up. On November 8, 2017, the 38-year-old Brazilian surfer caught an 80-foot-tall wave in Praia do Norte off the coast of Nazaré, Portugal. On April 28, the World Surf League gave him the Quiksilver XXL Biggest Wave Award padded with a $25,000 prize. 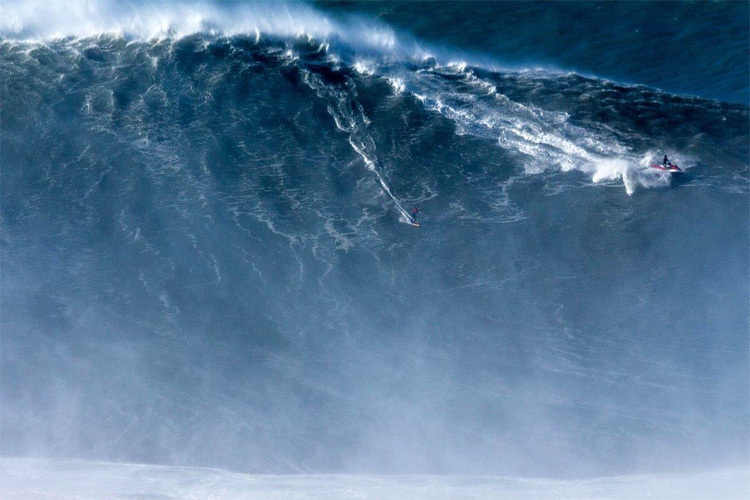 Koxa’s ride also broke a Guinness World Record for the biggest wave ever surfed. “I'm just so happy and this is the best day of my life,” Koxa said at the awards. Other winners include surfers Lucas Chianca, Paige Alms, Aaron Gold, and Ian Walsh. British surfer Andrew Cotton, who broke his back after a fall on the same day and in the same place as Koxa’s record-breaking feat, was awarded the Wipeout of the Year Award. Previously, the record was set by Hawaii’s Garrett McNamara in 2011 with a 78-foot-tall wave off the same coast. Other surfers have said they broke that 2011 record, but Koxa’s wave was confirmed—experts can measure a wave from trough to crest by comparing it with the size of the people surfing it. In the video, a jet ski drags Koxa up the wave. In less extreme waters, surfers usually paddle up waves before standing up and riding them, but since Koxa’s 80-foot-tall roller is too fast, towing in on a jet ski allows him to get closer. The jet ski releases him and in seconds, the powerful waters surge up to him. Koxa barely manages to evade the wave as it rushes like an avalanche behind him. Koxa is an experienced surfer and escaped unscathed—this time. In 2014, he had a brush with death at the same beach. The experience sent him into a four-month slump where he had nightmares, didn’t travel, and got scared easily. It’s no coincidence that Koxa and Cotton both rode enormous waves at the same beach on the same day. The beach’s location and geography make it prime territory and a magnet for intrepid surfers. Although one surfer got away from the wave with a broken record, the other barely got away with a broken back. The waves of Praia do Norte are famous for being among the largest in the world. The beach’s westerly location on the European coast allows it to catch wind, and thus ocean swells, from storms that sweep across the North Atlantic. A deep canyon runs under the surf and points toward the town, which focuses the ocean swells directly toward the lighthouse at the edge of Nazaré. Nazaré Canyon, the underwater abyss, is 130 miles long and as deep as 16,000 feet below the ocean’s surface in some areas. “The ocean swells get focused in this submarine canyon and have much more energy,” surfer and forecaster Micah Sklut told NPR in 2013. Nazaré’s undersea geography make it particularly unique, but it’s not the only place to catch a big wave. Other popular surfing spots with towering waves are Teahupo’o in Tahiti, Oahu’s Banzai Pipeline, the Cortes Bank near Los Angeles, and Northern California’s Mavericks.